The recently released book Star Wars: Galactic Adventures Storybook Collection is a fun and entertaining read for kids looking for new Star Wars stories as well as adults who don’t keep up with Star Wars comics and junior novels. Some of my favorite books to read as a young Star Wars fan were stories that included my favorite Star Wars characters in adventures separate from the storylines of the original trilogy films. 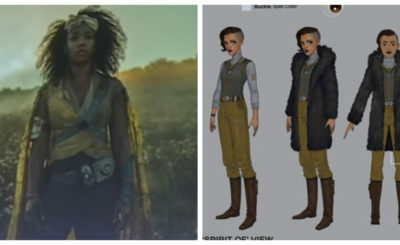 I’m thinking of Planet of the Hoojibs and Droid World in particular – both of which also came with an audio dramatization. 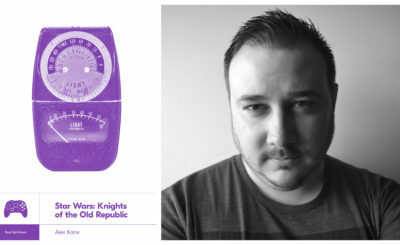 Some new stories, like Rebel Mission to Ord Mantell, were only released via audio. There’s no audio to go with Galactic Adventures (although I bet it would do quite well if it was released) but this collection does a lovely job of adapting stories from a variety of comics and novels for a younger audience. The stories are organized in chronological order starting with a story from before The Phantom Menace where Darth Maul comes face to face with rathtars (an adaptation of Star Wars: Darth Maul #1) to the story “Rose and Paige Fight for the Resistance” which leads directly up the events in The Last Jedi (this story is adapted by the Elizabeth Wein novel Cobalt Sqaudron. Here are just a few of the highlights I discovered while reading this book. 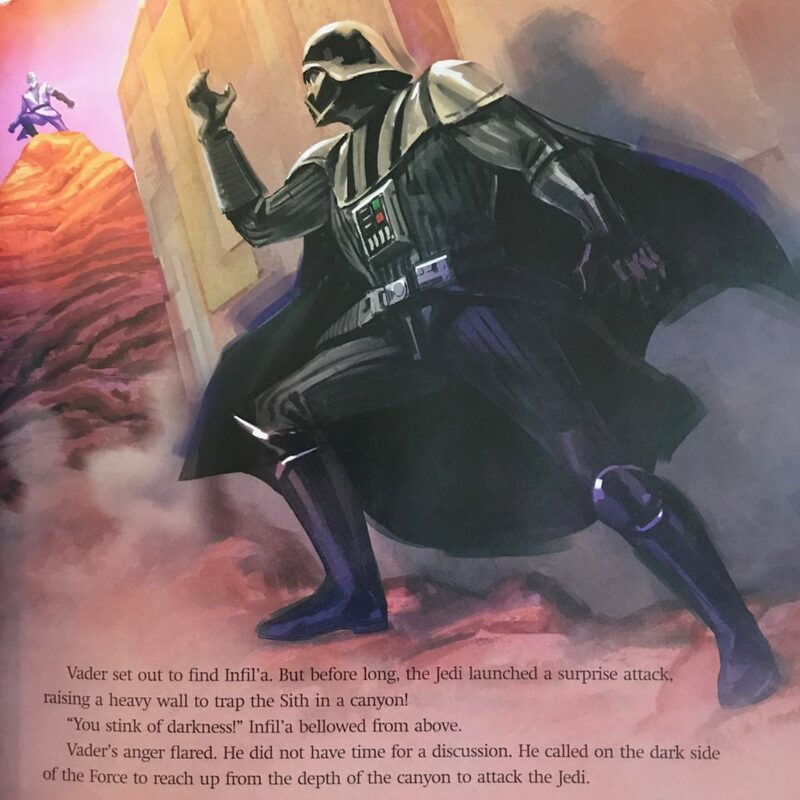 In “Darth Vader and the Weapon of the Sith” by Ivan Cohen (adapted from Darth Vader: Dark Lord of the Sith #3-5) Vader, shortly after the events of Return of the Sith, sets off on a mission to construct his own lightsaber. To do this he must first take the lightsaber of a Jedi who escaped Order 66. 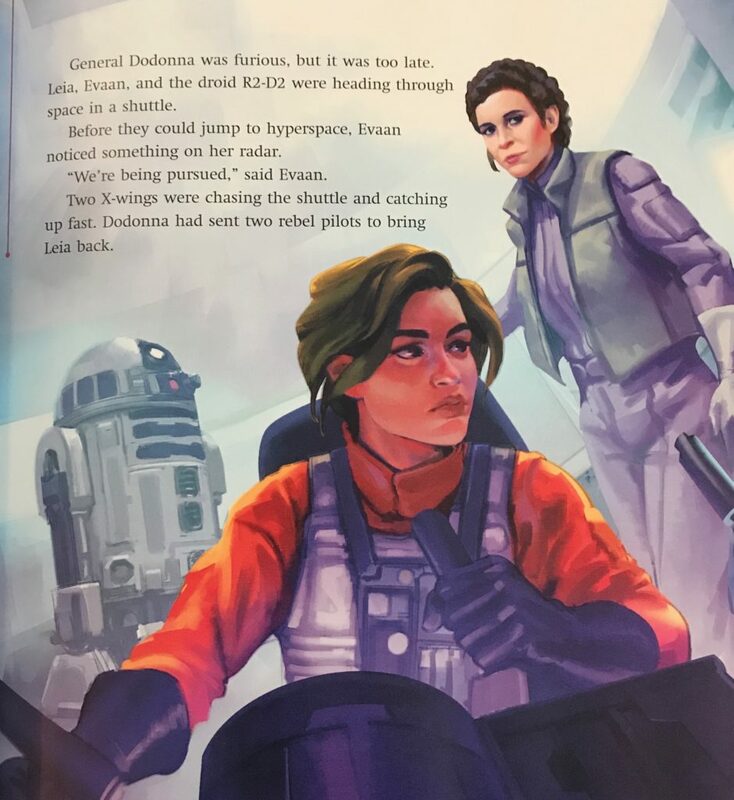 Fans of Rebel Alliance pilot Evaan Verlaine will be pleased to see her featured in “Leia Charts Her Own Course” by Liz Marsham (adapted from Star Wars: Princess Leia #1.) If you ever wondered what happened shortly after the medal ceremony on Yavin 4 in A New Hope this story is for you. 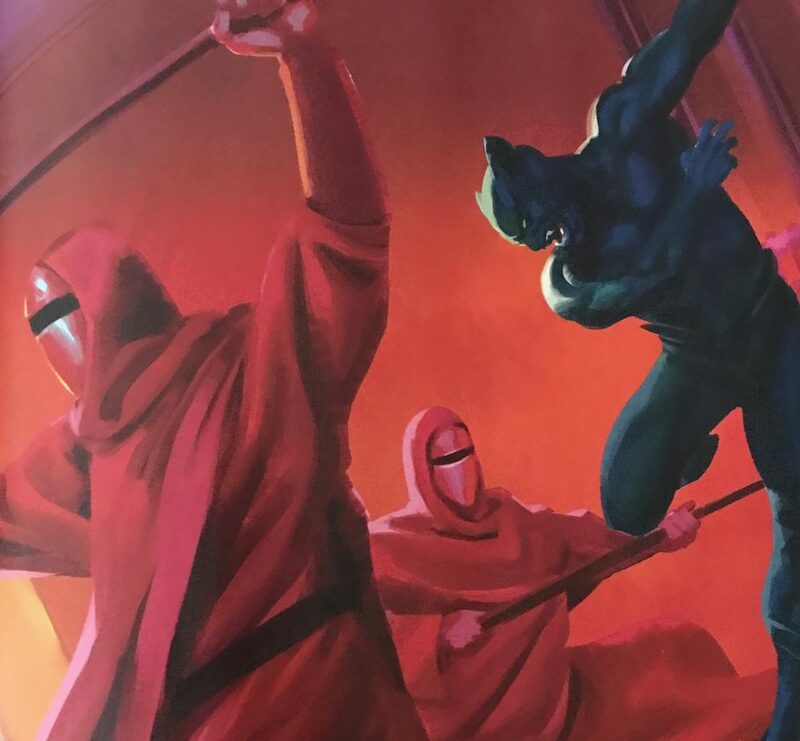 Is that a cat person fighting one of the Emperor’s Royal Guards? Technically Aleksin and Pavol are alien clone warriors, but in “Lando’s Big Score” by Steve Behling (adapted from Star Wars: Lando #1-2) two cat-like creatures, along with Lando Calrissian and his trusted aid Lobot, find themselves in a bit of trouble with the Emperor’s security staff. 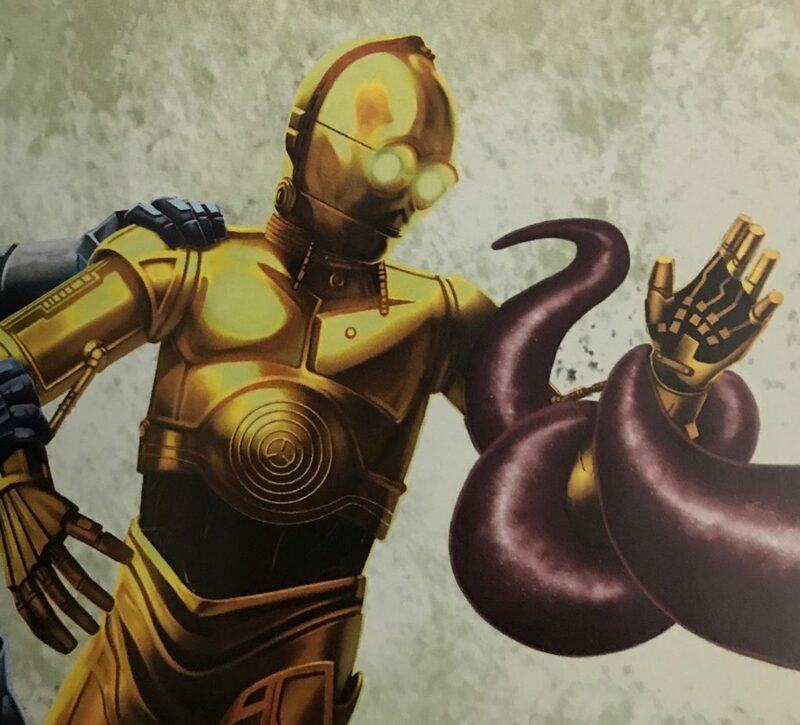 C-3PO’s red arm – you know, the one that makes him so difficult to recognize – gets its own backstory in “C-3PO’s New Arm” by Rebecca L. Schmidt (adapted from Star Wars: C-3PO #1). 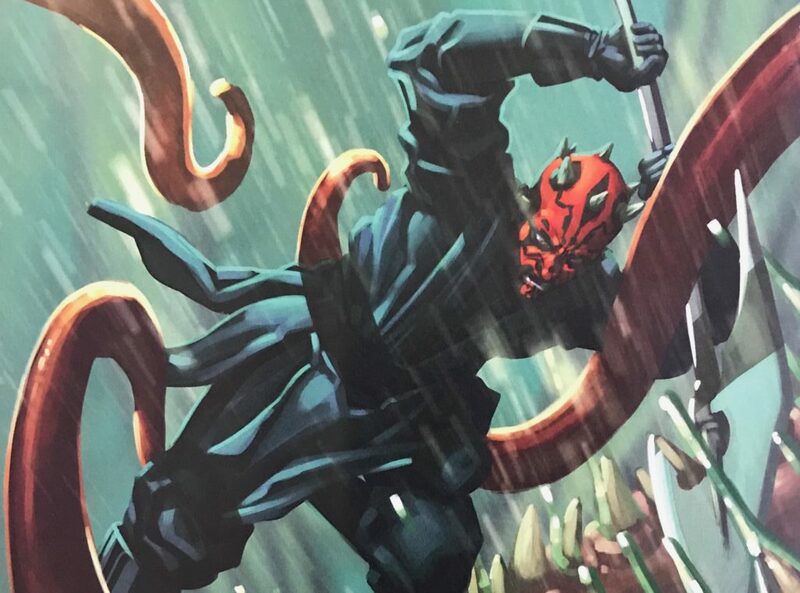 And you may or may not be excited to discover that a tentacled creature is featured in this story set shortly before The Force Awakens. 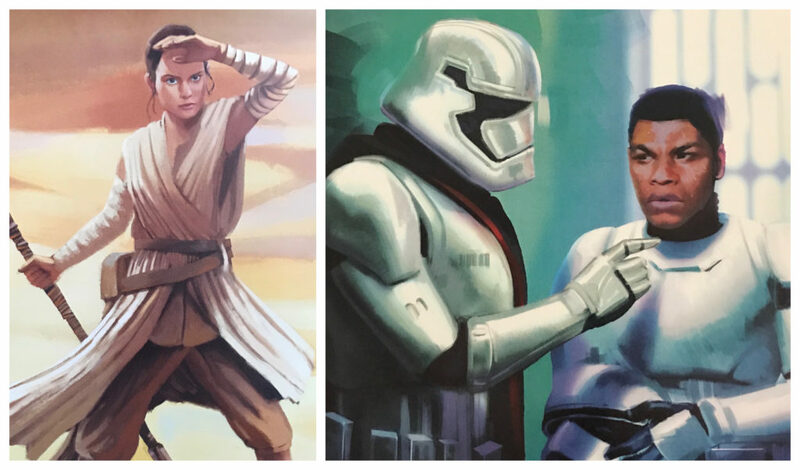 Star Wars: Galactic Adventures Storybook Collection also adapts pre-The Force Awakens stories about Poe Dameron, Rey, and Finn from Greg Rucka’s novel Before the Awakening. 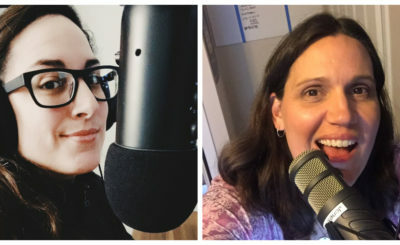 “Poe and Missing Ship” by Nate Millici, “Rey’s First Flight” by Rebecca L. Schmidt, and “Stormtrooper in Training” by Calliope Glass all will give kids (and their parents) a little more insight into the trio whose stories will continue this December in Episode IX. In total there are 18 stories in Galactic Adventures with close to 300 pages full of new illustrations from TomatoFarm and Pilot Studio. Hopefully this collection is successful so there will be a Volume II down the road.